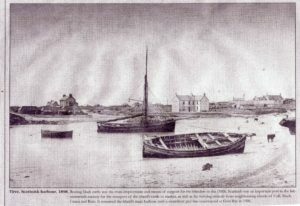 Local news: article about Coinneach MacKinnon’s new Cygnus fishing boat; invitation by Tiree Renewable Energy Company Ltd (TREL) to contractors to tender for works to prepare a site at Ruaig for a Wind Energy Converter (Tilley); Tiree Windsurfing Club update; school news; sponsored read ‘Read to Feed / Leughadh son Biadh’ to raise funds to send a cow to Africa; Oban Hospice fundraising; Tiree Youth Club 2009 awards; notice announcing collection of data to informa decisions about future ferry services; reporter’s notes about the Lodge Hotel, Gordon Scott’s arrival at Everest base camp; local artists exhibiting in Buchlyvie, and the quality of Sam’s [Buschnak] Fish & Chips; report on A&B’s Social Work services; new staff at Tiree Community Business; Gunna Sound ceilidh band launches its first CD; traditional boat building skills return to Tiree through the Tiree Maritime Trust. 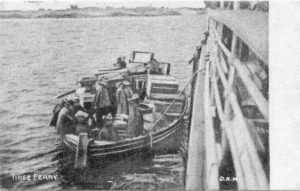 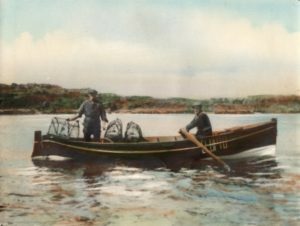 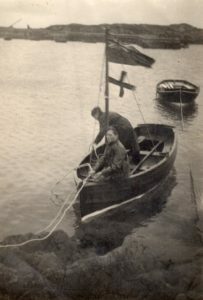 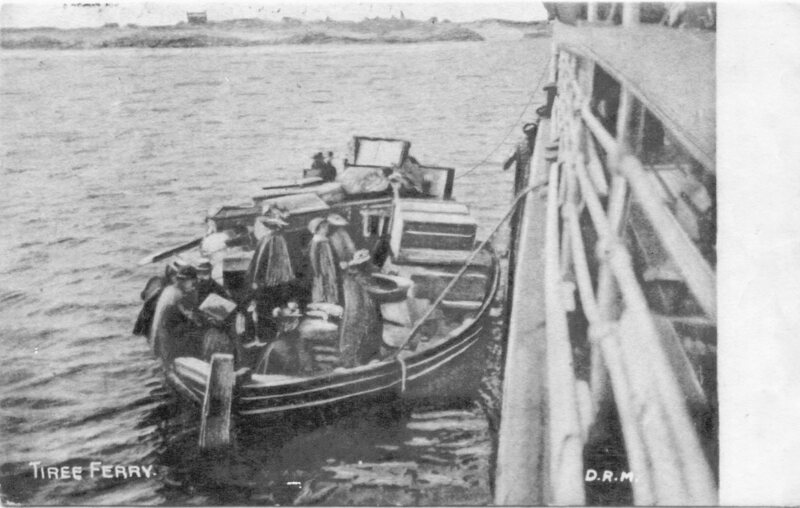 Black & white photograph of Colin Campbell in the bow of a rowing boat, and an unidentiifed crewman, in Scarinish harbour during the 1946 regatta. 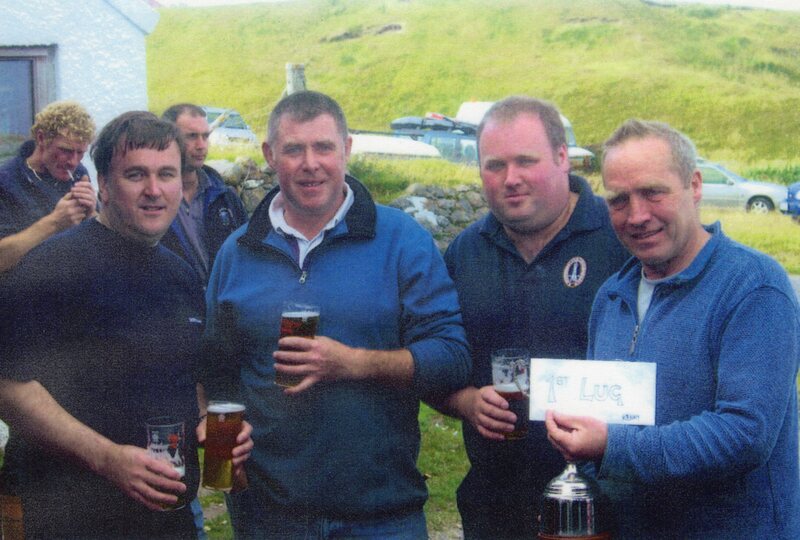 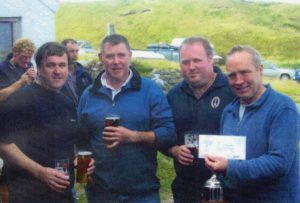 Colour photograph of the crew of the dipping lug-sail boat ‘Eilean Thiriodh’, holding a prize cup outside the ‘Lean-to’ bar of the Scarinish Hotel, after winning in the Tiree Regatta around 2000. 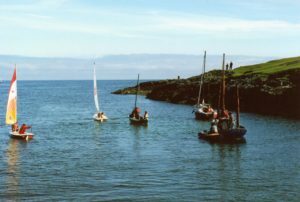 The ‘Eilean Thiriodh’ was made in Barcaldine in 1998, and won several Tiree Regattas. 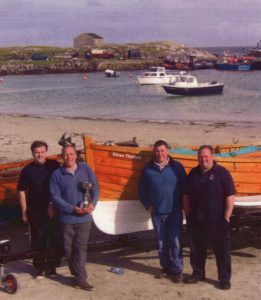 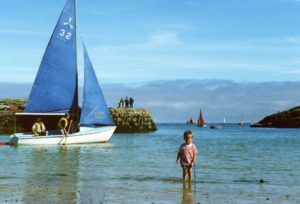 Colour photograph of the crew of the dipping lug-sail boat ‘Eilean Thiriodh’, holding a prize cup in front of their boat in Scarinish harbour, after winning a race in the Tiree Regatta around 2000. The ‘Eilean Thiriodh’ was made in Barcaldine in 1998, and won several Tiree Regattas. 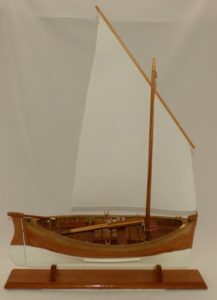 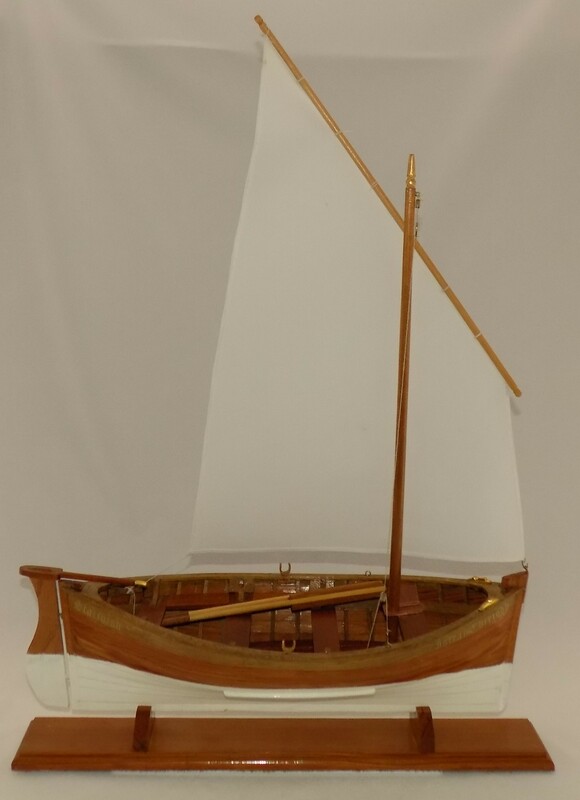 Scale model of a dipping lug-sail boat the ‘Islean Thiriodh’ built for David Hepburn, Scarinish and Oban, by an “old” east coast fisherman, and based on David’s boat the ‘Eilean Thiriodh’ which was built by Colin Evans, Barcaldine, in 1998. 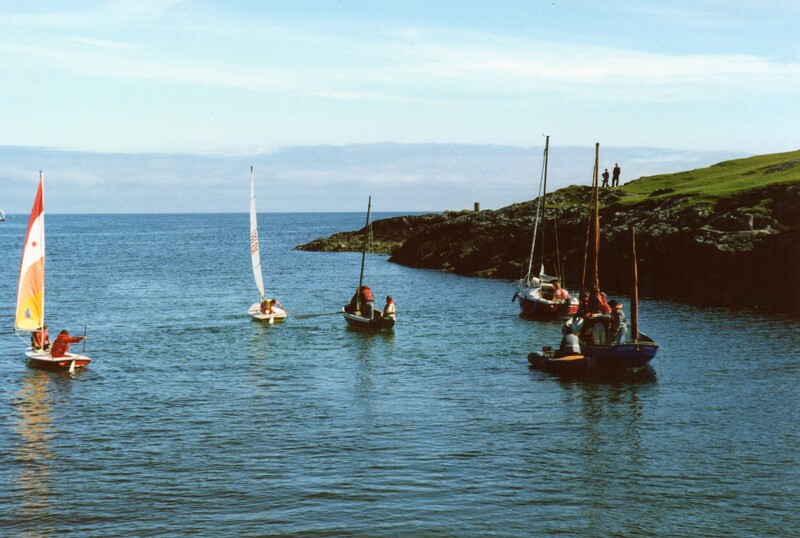 The Eilean Thiriodh won several races in the Tiree Regattas.